Skinny jeans, dress shoes, and toddlers with separation anxiety don't squeeze your calves and feet enough? 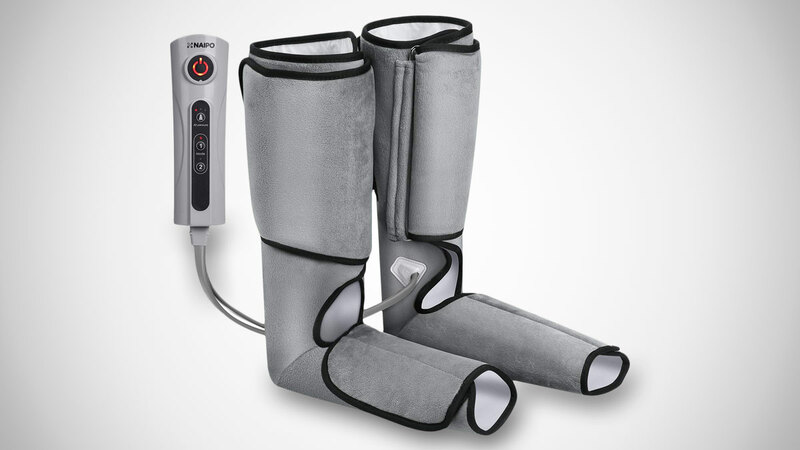 Check out these wearable air compression leg massagers. They look like a pair of walking boots the doctor would prescribe for a stress fracture, but maker Naipo says just a few minutes of wearing these boots - seated or even reclining in your Yaasa bed - will provide just enough pressure to relax tired legs, and relieve tension, soreness, and swelling. 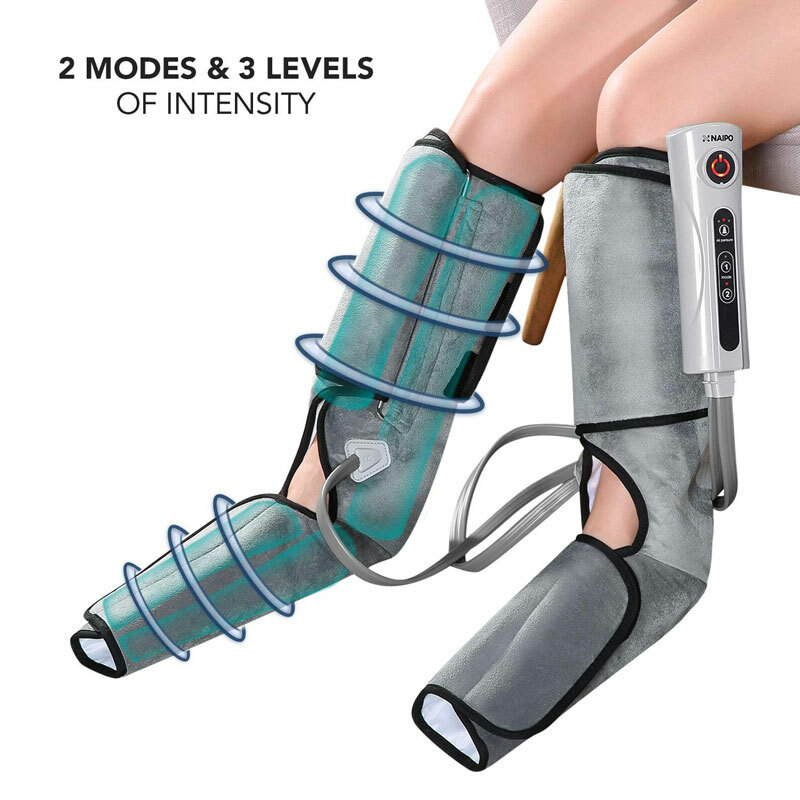 The Naipo Rechargeable Compression Calf & Foot Massagers use a practiced massage technique of squeezing and holding large areas of muscle, and then quickly and completely releasing it. Again and again. 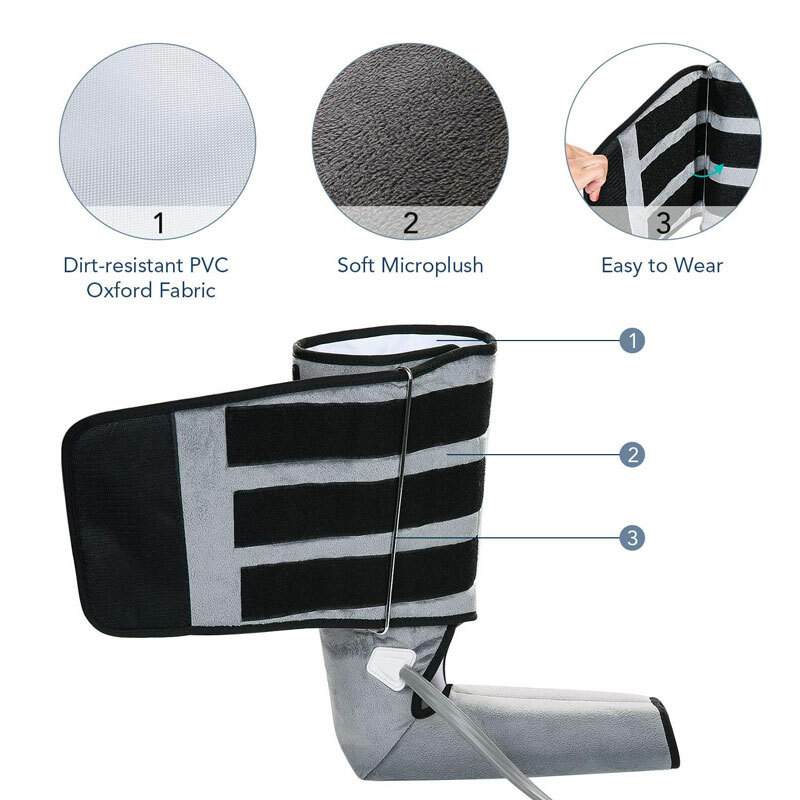 Instead of human hands though, these foot massagers use velcro wraps and inflating / deflating air. The effect is intended to stimulate nerves and encourage circulation to release tight muscles and reduce swelling. The wearable foot massagers have 2 modes and 3 intensity levels. Naipo recommends them for use by older and less active people, as well as highly active people that spend a lot of time on their feet. Usage time is not to exceed 30 minutes per session.